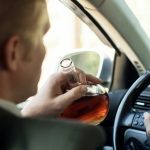 While drunk drivers have always been a serious problem on American roadways, in recent years, driving under the influence of drugs has become increasingly more prevalent nationwide, including in Illinois. The Governors Highly Safety Association (GHSA) released a vehicle crash data report involving fatally injured drivers. Studies have shown that nearly 45% of all driver suffering a fatal injury tested positive for drugs in their system, which is a significant rise from a decade ago when 26% of fatally injured motorists tested positive. The GHSA-funded report revealed that in 2016, 38% of the car accident fatalities involving drugs involved marijuana, 16% tested positive with opioids in their system and 4% had both. 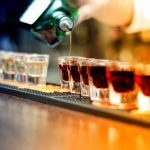 More than half tested positive for at least two drug and 49% drivers that suffered a fatal injury with alcohol in their system also had tested positive for drugs. Results of the study showed that the effects of driving while impaired with alcohol or drugs tend to produce comparable results. However, law enforcement faces many challenges in identifying drug-impaired motorists behind the wheel. It can be extremely difficult to automatically detect a drug impairment. 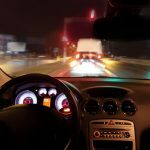 While there are dozens of illegal drugs and prescription medications that can impair a driver’s ability to operate their vehicle safely, developing an effective field test that can identify the diversity of most medications can be overwhelming. Currently, no equipment exists to help police officers measure drug impairment reliably while conducting a traffic stop. Presently, crash investigators must rely on of other methods including toxicology tests to establish legal liability. The report shows that marijuana use while driving continues to increase at an alarming rate. In April 2017, twenty-nine states and the District of Columbia allow the use of marijuana for medical purposes. Most recently, West Virginia authorized their citizens to have legal access to medical marijuana starting in July 2019. Other states allow recreational use including California, Colorado, Maine, Massachusetts, Nevada, Oregon, Washington State and the District of Columbia. Additionally, there are thirteen states not listed above that no longer criminalize possession of marijuana in small amounts. California is trying a bold new approach to the subject of distracted driving with the implementation of its newest law— if you are holding anything but the wheel, you will receive a ticket. Drivers no longer need to be caught in the actual act of making a call or texting and police officers can ticket them simply for having a mobile device such as a phone or tablet where it can be accessed behind the wheel. The law doesn’t just seek to reduce the number of drivers using their smartphones, but to eliminate their very presence from view. Over the last fifty years, increased population and access to mobile technology have combined to give us the sharpest increases in traffic fatalities we have ever seen. 46 states have now outlawed texting and driving, but it can be extremely difficult for police officers to catch culprits red-handed. Previous incarnations of California’s law have not been deemed strict enough to help reverse this trend. It is impossible to operate any form of machinery while you do not commit your full attention to the task at hand. This includes when you get behind the wheel of a car or truck. 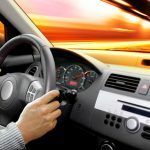 Distracted driving is a factor in a majority of accidents, and the epidemic has grown worse with each passing year as we continue to come up with innovative ways of taking our attention off of the road. 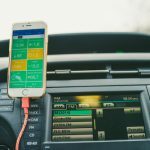 Phones, music players, tablets and other mobile devices allow us a portable way of remaining connected to each other, but drivers need to have the patience to wait until they arrive safely at their destination before reaching for these items. We have all been guilty at some point of being tempted by some object in our vehicle that has diverted our focus from the road. Recent reports have revealed that every day in the United States, 660,000 drivers are using a cell phone. We see these people almost everywhere we go and may even become annoyed by their erratic or reckless driving. We may also find ourselves with the phone in hand on occasion. Waymo, the self-driving car unit of Google’s Alphabet Inc. recently launched an educational campaign to convince skeptics on the safety and value of driverless vehicles. The “Let’s Talk Self-Driving” campaign involves other groups including the National Safety Council, Mothers Against Drunk Driving (MADD), and the Federation for Blind Children. The group hopes to show how self-driving cars, trucks, and vans could eradicate most vehicle deaths caused by drunk drivers and would provide wide-ranging transportation options for the blind. The company began promoting self-driving pilot cars in Arizona to prove the safety of driverless vehicles in the hope of raising awareness on how advancements and technology can save lives. For months, the Company has operated autonomous minivans throughout the Phoenix metropolitan area, focusing their attention on the city of Chandler. Recently, Waymo removed the human from behind the steering wheel. In the months ahead, passengers will be invited into the vehicles to travel about the town in a ride-hailing service without a driver. Special signs are available to increase the public’s awareness of driving while impaired or to honor those who lost their lives in the service of others including fallen veterans, police officers, public servants and individuals killed in action. Numerous programs by the Illinois Department of Transportation also administers fatal accident memorials signs for fatalities occurring on Illinois highways after December 31, 1989. 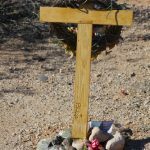 There is a story of heart break behind every handmade roadside shrine or cross that appears along major roads and freeways by surviving families remembering a loved one who died in a fatal accident. Every year, more of these sacred shrines with messages, trinkets, flowers, and mementos appear along the road at the spot where the accident occurred. Some of these public markers are simple in design while others ornate and permanent with each one displaying the private grief and emotional suffering of those left behind. Automobile accidents remain the leading cause of severe injury and death for children. The potential risk of a child dying in a motor vehicle crash is substantially higher if they are not secured in a child restraint seat that is securely fastened in place. In fact, child safety seats can reduce the potential risk of suffering injuries by 82 percent and the decrease the risk of dying by 28 percent compared to just being strapped into the vehicle seatbelt. According to statistics from CDC (Centers for Disease Control and Prevention), 653 children younger than 13 years of age died in motor vehicle accidents in 2015. Of these children, 35 percent were not restrained in a car seat or vehicle seat belt that might have saved their lives. According to statistics by the NHTSA (National Highway Traffic Safety Administration), more than 121,000 children in the U.S. suffered injuries in vehicle crashes in 2014. The CDC study also reported that approximately 618,000 children under the age of 13 ride in vehicles without using a child car safety seat, booster seat, or the vehicle seat belt. Buckling up your safety belt is the law in Illinois that can result in substantial fines if you do not. A seatbelt provides you the best opportunity to avoid a severe injury or death in an automobile accident. Whether you drive a family sedan, sports car, or an 18-wheeler truck, local law enforcement officers will pull you over and ticket you if you are not wearing a seatbelt. This is because of the high success rate of saving thousands of American lives who followed the guidance to “Buckle Up America” and “Click it or Ticket” safety campaigns. The nationwide “Click It or Ticket” Safety Campaign was launched back in 2003 by the U.S. Department of Transportation under its National Highway Safety Traffic Administration (NHTSA). While the campaign was originally targeted on all motorists across America, it especially focused on younger male drivers between 18 and 34 years of age because research revealed this demographic group rarely wears their seatbelt. 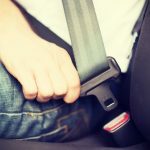 Through a massive effort, the state of Illinois in conjunction with the US Department of Transportation increased public awareness on how law enforcement officers will cite traffic law violators including those who do not wear a seatbelt. This educational campaign provides public information to inform drivers of the benefits of always wearing a seatbelt. This campaign lasts up to six weeks and focuses on reducing injuries and saving lives by promoting the importance of buckling up. The annual event starts near the end of April and lasts until the end of June. Traffic safety is a crucial component of transportation planning objectives when roadway developers are looking for ways to improve the driving experience to ensure everyone reaches their destination without harm. In the U.S., traffic accidents claim the lives of more than 32,000 drivers, passengers, bicyclists, and pedestrians every year and leave hundreds of thousands of others injured and disabled. Because of that, safety is a major concern in roadway design, maintenance, and operation. Roadway engineers understand that there are numerous factors that affect the risk of traveling on highways, expressways, freeways, roads, and streets. This includes the type of travel, the amount of traffic, the types of vehicles, the condition of the street surface and the behavior of every driver sharing the road. 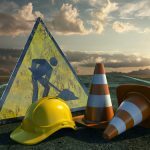 Road construction developers have long used effective traffic planning strategies that focus on every risk the motorist faces. This includes distracted driving, drunk driving, poorly designed roads, unsafe vehicles, adverse weather conditions and the changing conditions of traffic during rush-hour. Road engineers described normal traffic as motor vehicles operated by a sober, responsible drivers traveling in relatively new cars or trucks while wearing a seatbelt and traveling on an efficiently designed road. However, designing and constructing roads that accommodate “normal travel” motorists are not always the best ways to ensure safety when traveling. Instead, statisticians measure safe driving activity and/or behaviors by the numbers of fatalities, injuries or accidents per 100,000 vehicle miles, where the statistics present a much clearer image of how safe roads really are for drivers, passengers, pedestrians, and cyclists.